Thursday, 17 May is International Day against Homophobia, Biphobia, Intersexism and Transphobia. It is a day to support the LGBTI community by showing our appreciation of the positive contribution they bring to society, and stand together against harassment and discrimination. Homophobia, biphobia, intersexism and transphobia, can be described as the invalidation of, oppression towards, irrational fear, aversion to, discrimination against, negatives attitudes and feelings towards people who identify as gay, lesbian, bisexual, intersex and transgender. Although many laws exist to prohibit discrimination on the basis of sexual orientation and gender identity, the LGBTI community continues to endure discrimination and hate. So how can you help your friends, family, colleagues and community? This IDAHOBIT let’s stand together against discrimination and prejudice, and use some simple strategies which encourage equality and inclusiveness. Challenge homophobic, biphobic, intersexism and transphobic language and behaviors. The term ‘gay’ is sometimes used in a negative or derogatory way like “work is gay” or “that’s gay”. Although often perceived as harmless, the negative meanings of the statement can have an impact on a LGBTI person’s mental health. When it is safe, challenge these statements, and notify the person using them that this language is unacceptable and offensive to others whether or not they are aware if it. Show your support and raise awareness by participating in awareness days and events like IDAHOBIT, Wear it Purple day (31 August) and pride festivals. Awareness days provide the perfect opportunity to educate friends, family and colleagues on the continuing issues faced by the LGBTI community, talk positively about sexual diversity, and remind people that negative remarks about a person’s gender and sexuality are offensive and unacceptable. Assuming that a person is ‘straight’ can have an impact on a LGBTI person, as it may show them that their gender diversity is not accepted or normal. Challenge assumptions by not assuming that you know someone’s sexuality based on how they look or behave, and avoid asking questions like “do you have a boyfriend” to women and “do you have a girlfriend” to men. Instead, be more inclusive by asking non-gender specific questions like “do you have a partner”, “what gender pro-noun do you prefer” and “what is your preferred name”. This change in terminology and avoidance of assumptions can help people from the LGBTI community feel more comfortable, safe and included. If a person is experiencing harassment and discrimination, it is important to show the person that they are supported and the behaviour towards them is not acceptable. Report harassment or bullying in the workplace or school, demonstrate that it will not be tolerated, and that they are important to the community, their feelings are valid and that they can ask and receive support when needed. Relationships Australia NT provides a welcoming and accessible service to people who identify as LGBTI and/or gender diverse. Our service is culturally appropriate, supportive and respectful to the needs of the local LGBTI and gender diverse community. This year on IDAHOBIT, stand up to show your support and celebrate our communities’ strength, resilience and diversity. Take the pledge to support your LGBTI friends, family, colleagues and community, stand against harassment and discrimination, never stay silent when discrimination is occurring, speak up against bullying and never be a bystander. If you would like more information on the experiences of discrimination and mental health difficulties of the LGBTI community please see the following resources. Relationships Australia NT can provide counselling, psycho-social support, family support, dispute resolution, relationship education, and a range of other services to the NT community, both urban and remote. We employ experienced and qualified professional staff to provide support to individuals, couples and families to enhance, maintain or where necessary, manage changes in their relationships. For more information on the services we provide and how we can help contact us on (08) 8923 499 or visit www.nt.relationships.org.au. This entry was posted in Uncategorized on May 17, 2018 by Tracey O’Driscoll. What makes a mother? Who are mothers? Is a mother the person who carries a child for nine months, giving birth and raising the child as their own? Or are mother’s adoptive parents, foster carers, custodians, caregivers, protectors, guardians and carers of a child? According to the Merriam-Webster Dictionary ‘mother’ describes ‘a female parent; maternal tenderness or affection’. The definition doesn’t describe a mother as needing a biological link with a child. Instead, the word is used as a verb (a doing word); the word ‘mother’ encompasses a way of living and caring, it embodies the qualities and characteristic of a mother without the limitations of a direct link. For some people, the description of ‘mother’ can become complicated and has multiple experiences and feelings attached to its meaning and relationship. During the twentieth century in Australia, it is estimated that 500,000 children grew up in institutions (Government homes, missions, children’s homes and boarding schools). These children did not experience what many would consider the traditional family household (nuclear family). Sadly, many of these children typically grew up in neglectful and sometimes abusive conditions, where they had no access to a loving caregiver, a person who they could confide in and trust. For these children, their biological mother was not their primary caregiver, and as a result the experience of not having a mother was a different and sometimes traumatic experience. We can all acknowledge the importance of having a maternal figure in our life. For many people, being a mother or having a mother does not require a biological link or even being female to promote love, affection, caring and bonding. A mother’s love via care-giving, foster and adoption is no less important or less valued then others. Mother’s Day is a day to appreciate mothers by all definitions, and acknowledge their value, importance and care they give. 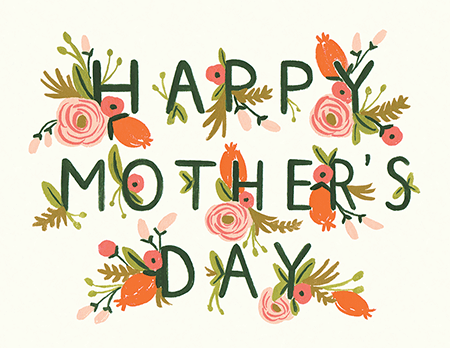 This Mothers Day, find the person who encompasses the meaning of being a mother to you, the person who plays a significant role in you life and show them how important they are to you. Mother’s Day can be a challenging time for people affected by adoption. Choosing an appropriate card can be fraught with conflicting emotions. Jigsaw Queensland has an adoption-appropriate Mother’s Day Card for sale. This card has been developed by people affected by adoption. It is available for purchase in Australia only. If you are affected by this and would like to speak to someone about the issues which impact you, please call us on (08) 8923 4999. This entry was posted in Uncategorized on May 9, 2018 by Tracey O’Driscoll.